The company’s lease is one of the largest North Bay deals in the past year. WeWork has arrived in the North Bay. 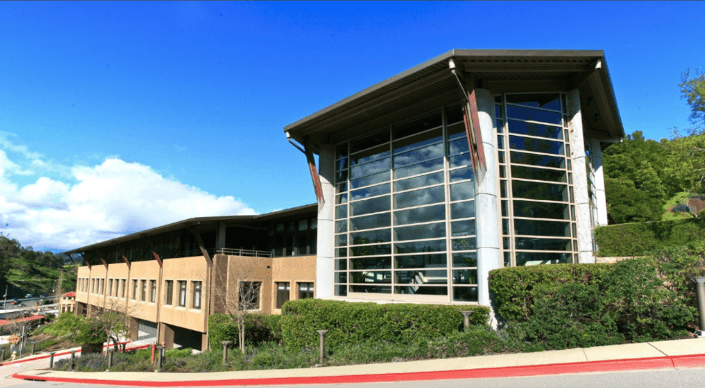 The fast-growing co-working giant signed a 35,000-square foot lease at 1 Belvedere Drive in Mill Valley. It’s the company’s first location in Marin County, a suburban market that marks a shift from the company’s focus on urban downtown centers. “Generally, WeWork locations are located in dense, urban locations in the heart of cities. This Mill Valley location will serve as a complimentary outpost to the many entrepreneurs, executives, and small businesses at WeWork, scaled to meet the needs of the dynamic community north of San Francisco. We’re excited to open a North Bay flagship location and further expand our community of creators into Mill Valley,” said Elton Kwok, WeWork general manager for Northern California, in a statement. WeWork has signed three Bay Area leases this year, bringing it close to 2 million square feet in the region. The company’s other deals totaled 327,000 square feet at 430 California St. and 353 Sacramento St., both downtown San Francisco office towers.